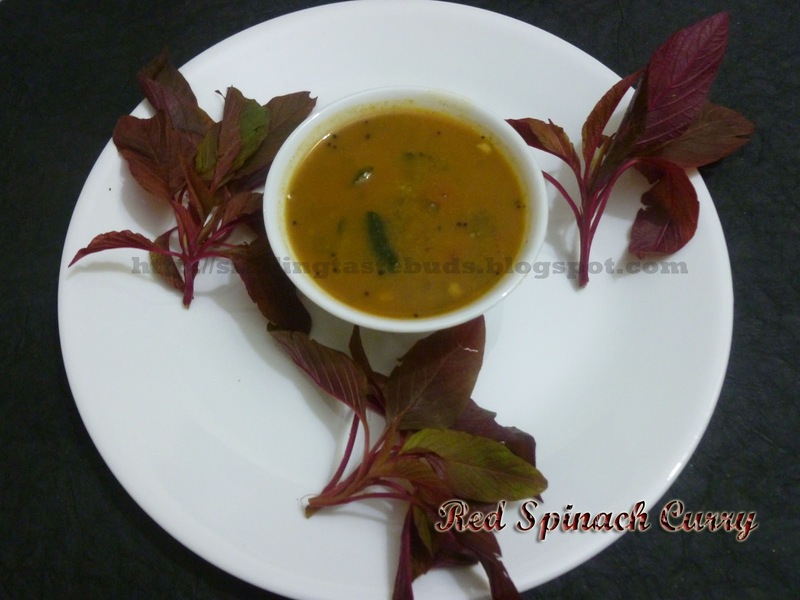 Red Spinach Curry is a healthy, nutritious and a very tasty curry prepared with dal(toor Dal) and this leafy vegetables. Red Spinach also known as Harive Soppu or Dantu Soppu in Kannada. 1. Pressure cook washed toor dal, onion, tomato, green chilli and red spinach in a cooker. 2. Make a fine paste of grated coconut, haldi, sambar powder along with a some cooked dal in a blender. 3. Pour this paste to the the remaining cooked dal and add enough water depending on your required curry consistency. 4. Bring it to a boil and add salt to taste. Serve it with hot steamed rice.